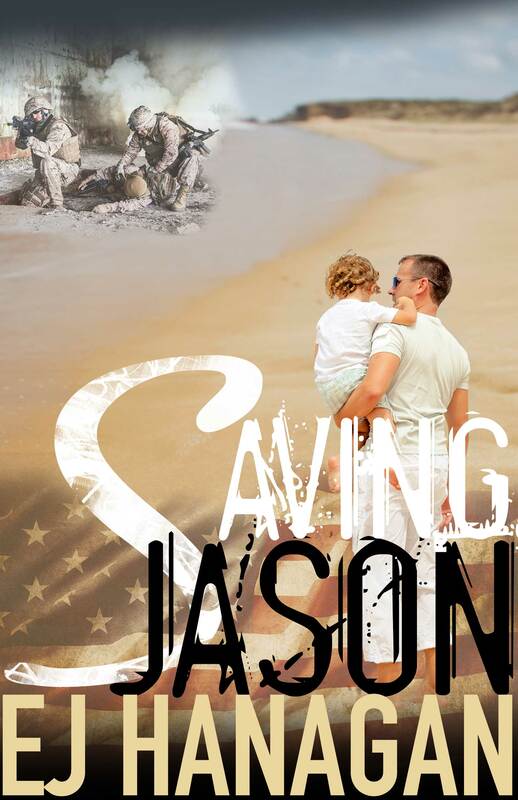 I’m very pleased to welcome EJ Hanagan, author of the women’s fiction novel, Saving Jason. 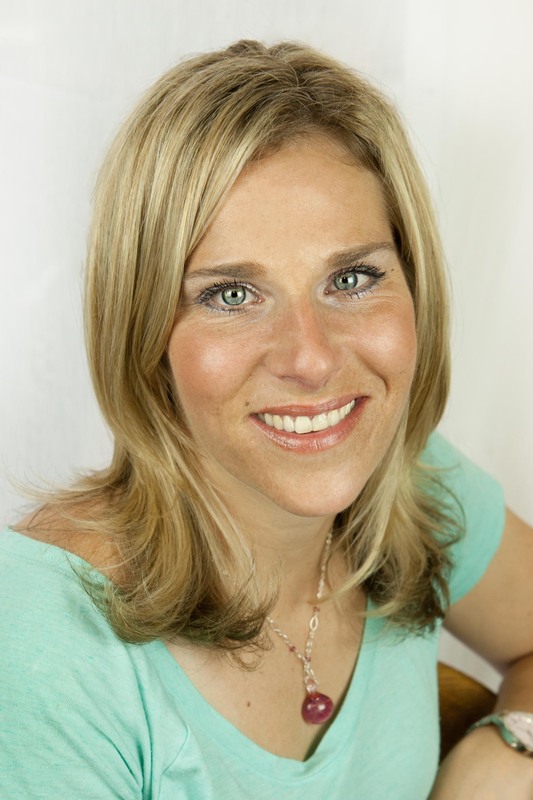 EJ Hanagan is a writer, fitness fanatic, obsessive reader and animal lover. She lives in a sleepy beach town outside of Boston with her husband, their new baby girl and their two giant Newfoundland dogs. After spending four years in the Air Force, EJ put her fire for fitness to good use and worked as a personal trainer while going to college. If it weren’t for the amazing, brave people that she met while in the military, she wouldn’t have the passion that she does now, to focus on bringing awareness to veterans with PTSD, Posttraumatic Stress Disorder. Her hope is to bring the invisible scars of war to the surface through her writing and community involvement. Jason Barnes is a free spirit. But underneath his fun-loving surface lurks a severe case of PTSD, his personal souvenir from the war on terror. After his young marriage breaks up, he bounces from girlfriend to girlfriend, never allowing himself to get too close, all while maintaining a friendship with his ex-wife, Samantha Colton. His short-lived relationships come to a halt when he meets Abby Jacobsen, a smart and sassy artist. With love comes jealousy, and Abby doesn’t stand for Jason’s cozy friendship with Samantha. Two hours after a heated argument causes Jason to storm out of their apartment in a fury, Abby receives a phone call from the intensive care unit of a New Hampshire hospital. The hospital walls close in on Abby and Samantha as they are forced to make tough decisions while trying hard not to kill each other. The two form a rare bond when Emma Jane, Jason’s mom, arrives on the scene. Three weeks after Jason’s accident, Abby is left alone and hovering over a handful of positive pregnancy tests. During the nine months of her pregnancy, Abby works with Samantha to dig up clues of Jason’s past. As the truth is discovered, their lives are irreversibly changed. An emotionally-moving look at PTSD and the intersection of three lives forever changed, Saving Jason is a riveting glimpse into lives intertwined, unexpected friendships, and the ripples we leave without our knowledge. I wrote Saving Jason because for years I had been struggling with seeing a good friend suffer from PTSD. I knew that he was haunted by things that he had witnessed, and that bothered me because it was like he was stuck in his own skin. So, while the story just took on a mind of it’s own, the characters developed as I went along. I initially set out to write it because I wanted to bring awareness about how badly PTSD effects families and relationships. Creating and getting lost in a world that only exists in my head and being able to share it with everyone. And I love developing my characters’ personalities-even the little habits and quirks. Writing! There is so much that goes along with being a new author with marketing and putting yourself “out there,” that it’s sometimes hard to remember why you started. Some days it’s hard to just sit down and write. There is also an odd anxiety that goes along with it for me. Sometimes I have too many ideas spinning around in my head and I stress about what to include and what to cut. I luckily don’t have writer’s block too often, so that usually isn’t a problem. Jodi Picoult, Kristin Hannah, Jojo Moyes, Heather Huffman. There are so many amazing authors out there. And I love reading new authors too. My manager, Heather Huffman has influenced me quite a bit. Not only is she an amazing writer and practices what she preaches, but she is one of the hardest workers I’ve ever met and she thoroughly believes in my writing. I owe her everything! Gosh, I really want to say the adorable little writing nook that I set up, but I gotta admit, nothing inspires me more than writing in a Starbucks. While I may come off as outgoing and an extrovert, sometimes all I want to do is hide and be alone. Oh, and I’m petrified of getting my blood taken. I pass out nearly every time. It is amazing how much work goes into the creation of one book and how many people play a part in getting it out into the world. I’m fascinated with the process and I love the passion in everyone on the team at Booktrope. I think people are generally in this field because they love it, so it never feels like work. Writing from the two different perspectives was a good decision because it allows the reader to see the two different sides of Jason. I know that this sounds so cliché, but never give up. If you love writing, then keep working at your craft. If you believe in yourself, you are bound to find someone who believes in you. I’m currently working on my next novel, Underwater Secrets, due to be released Spring 2015. The story flashes back from today to the 60s and involves a mother/daughter relationship. It involves a bit of mystery, a touch of drama and a lot of love. Stay tuned! It’s been great having you at The Writing Life today, EJ! Thanks for sharing your book, Saving Jason, and your writing wisdom!